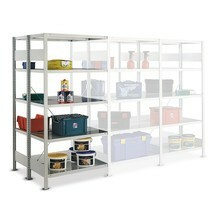 Instead of £130.00. 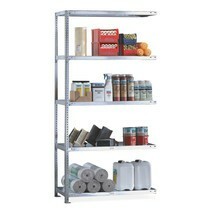 You save £6.50 due to the online discount . 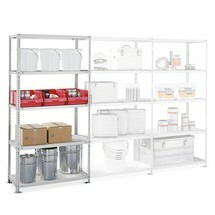 Would you like to rapidly expand your storage capacities, without the need for tools? 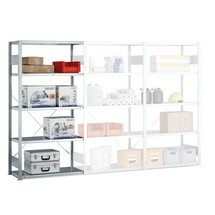 Then the META shelf rack add-on unit is the ideal solution. 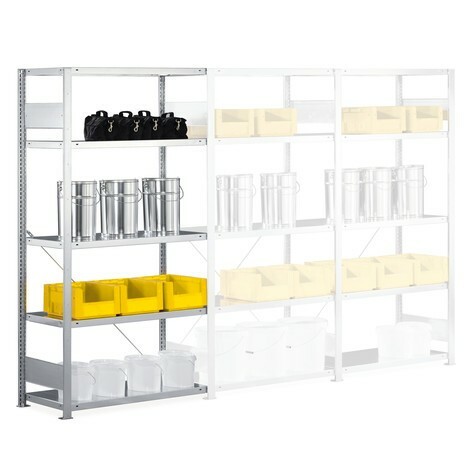 The boltless assembly system allows you to combine galvanised frame supports and shelves to create your own individual shelving solution. 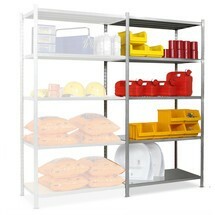 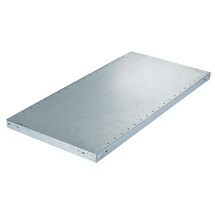 The META shelf rack add-on unit is constructed from galvanised steel plate. 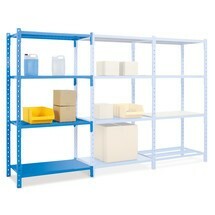 Diagonal bracing at the rear enhances the stability of the structure. 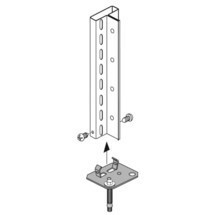 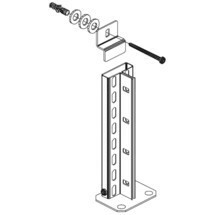 The quality of this shelf rack add-on unit has been certified according to RAL-RG 614/1. 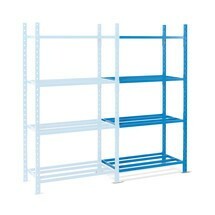 Note that the shelf rack must be secured against tipping as of a height/depth ratio of 5:1.